If you would like to receive a quote guide from Fergusons Removals, please complete the form below. Please Select which of the following items you will be moving. 1 China box holds approx 1 single kitchen cupboard. 1 Books box holds approx 3 ft of shelf space. 1 Misc box holds approx 1 single kitchen cupboard. 1 Food box holds approx 1 single kitchen cupboard. 1 Linen box holds approx 1 airing cupboard space. 1 Clothing box holds approx 2 ft of hanging space. 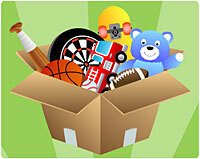 Please give details of any other special items that you would like to have moved. e.g. motorbike, jet ski, climbing frame, green house, loft contents etc.